We’d love your help. Let us know what’s wrong with this preview of Dialogue by Robert McKee. The long-awaited follow-up to the perennially bestselling writers' guide Story, from the most sought-after expert in the art of storytelling. Robert McKee's popular writing workshops have earned him an international reputation. The list of alumni with Oscars runs off the page. The cornerstone of his program is his singular book, Story, which has defined how we talk about t The long-awaited follow-up to the perennially bestselling writers' guide Story, from the most sought-after expert in the art of storytelling. Robert McKee's popular writing workshops have earned him an international reputation. The list of alumni with Oscars runs off the page. The cornerstone of his program is his singular book, Story, which has defined how we talk about the art of story creation. Now, in DIALOGUE, McKee offers the same in-depth analysis for how characters speak on the screen, on the stage, and on the page in believable and engaging ways. From Macbeth to Breaking Bad, McKee deconstructs key scenes to illustrate the strategies and techniques of dialogue. DIALOGUE applies a framework of incisive thinking to instruct the prospective writer on how to craft artful, impactful speech. Famous McKee alumni include Peter Jackson, Jane Campion, Geoffrey Rush, Paul Haggis, the writing team for Pixar, and many others. To ask other readers questions about Dialogue, please sign up. In Chapter 8 McKee suggests the "Trialogue" solution to the problem of on-the-nose verbal confrontations. He gives 4 examples, and while the first one (the mob couple funneling their contempt for one another into the canaries) made sense to me, the examples from Breaking Bad, Rushdie's novel, and Beckett's play didn't. I don't see how Heisenberg works in the Breaking Bad example. Can anyone elaborate? If you write stories, you'll probably want to read this book on dialogue. I've been a big fan of McKee's "Story" for a while, which in my mind is probably the best book about writing stories I've read. Like "Story," "Dialogue" eschews easy answers and formula and goes deep, explaining the hard work you'll need to do to write good dialogue. Ironically, for me it's actually made writing dialogue harder--not easier--because I've realized I'm not putting the proper thought and work into it. With McKe If you write stories, you'll probably want to read this book on dialogue. I've been a big fan of McKee's "Story" for a while, which in my mind is probably the best book about writing stories I've read. I didn't like this book at the start. It's very scholarly, academic and overly complicated--pretty far from the actual experience of writing a novel. A writer just wants to know how to write better. Don't give me a jigsaw puzzle with 2000 pieces. This book seemed like reading a PhD thesis on how to swing a golf club. Great but it won't improve your game. It takes hacking at the ball to improve. My opinion changed part way through. I found that i was picking up a few good nuggets here and there: t I didn't like this book at the start. It's very scholarly, academic and overly complicated--pretty far from the actual experience of writing a novel. A writer just wants to know how to write better. Don't give me a jigsaw puzzle with 2000 pieces. This book seemed like reading a PhD thesis on how to swing a golf club. Great but it won't improve your game. It takes hacking at the ball to improve. My opinion changed part way through. I found that i was picking up a few good nuggets here and there: the conversation about "on the nose" writing, about the different kinds of conflict--little tips that let me see my own writing better. The best books allow you to see your own writing (and the writing of others) more precisely, just a a neurosurgeon sees a brain in infinite more detail than I can, even though we're looking at the same thing. McKee includes in the book the kinds of things you talk about when scrutinizing a novel in a college classroom. Good but again, talking ABOUT is different from DOING. Still, i ended up admiring the book. 90% will be lost to me. But the 10% i will retain will be helpful. Some passages in the book really did help me see my writing in a new way, with more precision. And while knowledge in an of itself, does not make great writing, just as knowing how to swing a golf club does not make your swing great, I will take away some new means of evaluating my writing and that will make it better. So, if you're a writer, give this one a shot. You're liable to grow in your craft as a result. The art of dialogue. How does a writer get it just right to be effective, yet original, dramatic but not too dramatic, captivating and satisfying, and most important of all convincing? The thrust of this book is how McKee spends time on characterizations and the art of the subtext—vital to thrilling and effective dialogue. McKee explains how subtext works, the thinking behind it, shows you its most effective moments, why it works well or poorly, and gives you the tools to make it work. The resul The art of dialogue. How does a writer get it just right to be effective, yet original, dramatic but not too dramatic, captivating and satisfying, and most important of all convincing? The thrust of this book is how McKee spends time on characterizations and the art of the subtext—vital to thrilling and effective dialogue. McKee explains how subtext works, the thinking behind it, shows you its most effective moments, why it works well or poorly, and gives you the tools to make it work. The result: amazingly clear insight. No kidding, if you want to fully understand subtext and sharpen your skills, this is the writing book to get. Conflict in dialogue, turning points, even sentence designs techniques. McKee describes the “suspense sentence” and the “periodic sentence.” Because prose is a natural medium for storytelling, you will learn how Charles Dickens used ‘counter pointing exposition’ and its effectiveness for the reader. I hadn’t seen this kind of hook in writing before, hadn’t heard this term before. Very powerful technique; of course none of us writes like Dickens, but what an example on how to swoop the reader in. What’s one of the takeaways in Dialogue by Robert McKee? “Quality storytelling inspires quality dialogue.” Which inspires a read of McKee’s other remarkable craft book “Story”—a great companion read as both books belong on any serious writer’s bookshelf. Brilliant. Brilliant. Brilliant. Like a hand in the dark, guiding you to writing great dialogue and encouraging you along the way. The kind of book that feels like your very own private teacher who's always there for you. And what insights! I didn't want it to end. More, please. The book does a great job showing you the importance of good dialogue in all fiction mediums. I grew to have a deeper appreciation for it and after reading just a few chapters I found myself paying more attention to dialogue wherever I could find it. Combined with Story (by McKee) it becomes a powerful package for amateur writers. I'll have to re-read both of them in the future since they pack a condensed punch of useful information and insight. Muy bueno, como todos los libros de Mckee. Válido, además, para guionistas y autores literarios. Con ejemplos prácticos tanto de pelis como de novelas. Excelente redacción y sin irse por las ramas. Just finished this book and highly recommend for writers who want to hone their dialogue skills! Honestly? Another essential read from McKee for the aspiring writer. You're kidding yourself if you think you can master story with zero guidance. Words about saying words. Not so terrible. I recommend if you have trouble getting characters to say things. کتاب بسیار خوبی ست اما ترجمهی فارسی آن به دلم ننشست. وقتی تازه این کتاب منتظر شده بود دیدم محمد گذرآبادی که به خوبی سالها پیش داستان مککی را ترجمه کرده بود دستبهکار ترجمهی این کتاب هم شد اما دیگر از ایران آمدم نفهمیدم چه بر سر ترجمهی آن آمد دوستی این را برایام فرستاد. البته ترجمهی این کتاب بسیار دشوار است چون بحث کلامی در آن وابسته به زبان انگلیسی زیاد صورت گرفته. شاید هم محمد نخواسته شهرت خودش در ترجمهی اول را ضایع کنه. کتاب بسیار خوبی ست اما ترجمه‌ی فارسی آن به دلم ننشست. وقتی تازه این کتاب منتظر شده بود دیدم محمد گذرآبادی که به خوبی سال‌ها پیش داستان مک‌کی را ترجمه کرده بود دست‌به‌کار ترجمه‌ی این کتاب هم شد اما دیگر از ایران آمدم نفهمیدم چه بر سر ترجمه‌ی آن آمد دوستی این را برای‌ام فرستاد. If you’re familiar with Robert McKee, you’ve likely already pored over his magnum opus Story: Style, Structure, Substance, and the Principles of Screenwriting, or perhaps even attended one of his famous three-day story seminars. One thing is certain: this man is serious about storytelling—and he knows a thing or two about the craft that he’d like to share with the rest of us scribblers, screenwriters, moviegoers, bibliophiles, or curiosity seekers as the case may be. Now, nearly He’s back . 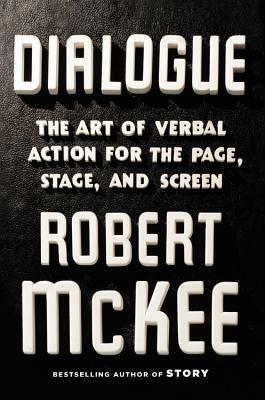 . .
Now, nearly twenty years after he delivered his revelations on the principles of film storytelling in book form, McKee returns with a new book dedicated solely to the art of dialogue. In many ways the book is long overdue. For while the craft of storytelling can seem somewhat abstract and largely invisible to the reader/audience, dialogue is more apparent—the icing on the cake applied only after all the hard work of plotting, subtext, and character has laid a firm foundation. Dialogue is what we do hear and what we are most aware of. Ergo, it would seem to demand a proper explication for the student of storytelling. Thus we have Dialogue: The Art of Verbal Action for Page, Stage, and Screen. What occupied the space of less than a chapter in Story is now expanded into a full book of its own—and it’s an enlightening read. Here McKee is in top form, displaying his virtuoso abilities to analyze and explain everything you ever wanted to know about the spoken—and even unspoken—word in films, plays, and novels. Thorough as ever, McKee covers a lot of ground in these pages, ranging from his own definition of what constitutes dialogue to its variations in different forms of storytelling. He includes quick fixes for lame chitchat and troubleshooting for insidious problems such as the ever-annoying ‘on-the-nose’ dialogue. Of course, the book would not be complete without McKee’s trademark in depth scene analyses. To wit, he slices and dices scenes from a handful of popular stories, deftly wielding his analytical instruments, unveiling the meaning and implications of dialogue from plays, novels, movies, and TV shows. It’s quite revelatory. And while now and then you might get a feeling of hairsplitting, there is no doubt that a master is at work. The book does contain a few throwbacks to Story and McKee occasionally treads over familiar territory. One example is a somewhat lengthy recap of his storytelling principles. Depending on your point of view and whether you’ve read Story, this is either a good refresher of that material, a good introduction to it, or something of a distraction from the task at hand, i.e. learning about dialogue. Personally, I found it to be a good review, and since the two subjects are so closely connected, it seems worthwhile to regain a firm footing on all aspects of the art of story. That said, as a teacher of storytelling and dialogue, McKee can seem a formidable taskmaster. Of writers, he demands an exacting and exhausting devotion to their art, and a relentless perfecting of their craft. 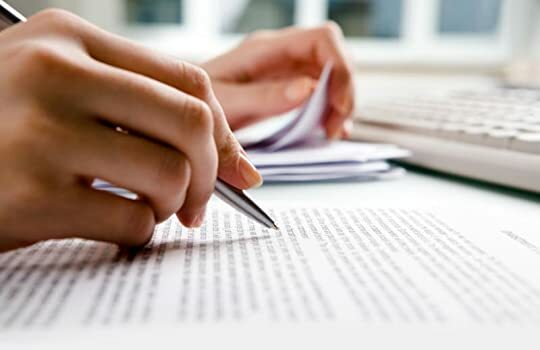 Consequently, there is perhaps a risk of analysis leading to paralysis—the idea that if you overthink and overanalyze your work to such an extent as he recommends, perhaps it will never get written at all. On the other hand, there is also the greater risk of not knowing what the hell you’re doing with your writing and lacking the awareness and skills required to create entertaining art. So perhaps the task must be left to the writer to judge for himself how much analysis he will imbue into the creation of his dialogue, and how much of his own creative instincts he will ultimately choose to follow. Like Story, Dialogue is a book that invites multiple readings and careful study to grasp its many lessons. Indeed, with such a wealth of information to absorb, you can sometimes feel a little lost in an ocean of ideas. Nevertheless, Dialogue is an enjoyable, entertaining, and illuminating master class by Robert McKee distilled into book form, and any writer who wants to understand great dialogue—and improve his ability to create it—will benefit from this read. It's pretty much impossible to unpack how brilliant this book is without reading it yourself. And I'm not sure I'll be able to fully process and then apply McKee's genius until I've read through Dialogue two or three times, with a highlighter in hand. McKee makes bold, hyperbolic statements about storytelling, and when you first hear them you want to laugh and scoff at his almost I-dare-you-to-disagree opinions. But then, he follows his strong statements with clear, detailed examples, one after t It's pretty much impossible to unpack how brilliant this book is without reading it yourself. And I'm not sure I'll be able to fully process and then apply McKee's genius until I've read through Dialogue two or three times, with a highlighter in hand. McKee makes bold, hyperbolic statements about storytelling, and when you first hear them you want to laugh and scoff at his almost I-dare-you-to-disagree opinions. But then, he follows his strong statements with clear, detailed examples, one after the other, and dissects each line by line, proving that what he said was dead-on and cemented in truth. This book isn't just about dialogue, folks. It touches on the core of humanity in its own way, but mostly it explores and dissects storytelling as a whole. Dialogue just happens to be the axis on which McKee's theories revolve. His definition of the "show, don't tell" rule is very different from the one prose writers use, so that was probably the only thing I actually still strongly disagree with. But if he'd called his definition something else, I wouldn't have batted an eye. If you are a storyteller in any medium, READ THIS BOOK. Then take a few breaths, sleep on it, and READ IT AGAIN. DNF. I was listening to the audiobook, and the narrator had one of those slightly condescending, slightly nasal, very "measured" voices that just grated on me. It bordered on soporific, and my mind wandered the whole time. I tried multiple different times to listen, I skipped ahead, but the material did not overcome the dull narrator. Long passages of "speech" from decades-old literary fiction were used to illustrate various types of dialog. While that may work in the book form, where the speech DNF. I was listening to the audiobook, and the narrator had one of those slightly condescending, slightly nasal, very "measured" voices that just grated on me. It bordered on soporific, and my mind wandered the whole time. I tried multiple different times to listen, I skipped ahead, but the material did not overcome the dull narrator. Long passages of "speech" from decades-old literary fiction were used to illustrate various types of dialog. While that may work in the book form, where the speech is indented and the human eye can pass over it more quickly than the human ear can listen, in audiobook the length of these passages made it impossible to keep in mind the concept McKee was trying to illustrate. I write genre fiction, specifically romance, and dialog is a key component of our stories. I did not feel like genre fiction was the target for the type of writing McKee is extolling and dissecting. I found McKee very repetitive in this book, but still helpful. Not as revelatory a manual for me as Story - his chef d'oeuvre - but this book contains useful reminders and analyses. Excellent! It does cover much more than "Dialogue". It's one of those books that you'll go back to often. It's useful to have a compendium of different techniques and issues relating to dialogue, and when McKee resorts to real examples, he is able to set out some convincing and interesting examples that can open up vistas for writers all levels. In particular I liked his use of a scene from Agnes of God to focus on the need for action-reaction to be wholly natural, that is, for the key word requiring a response to strike at the end, although one could argue that a good dialogue writer, or just a goo It's useful to have a compendium of different techniques and issues relating to dialogue, and when McKee resorts to real examples, he is able to set out some convincing and interesting examples that can open up vistas for writers all levels. In particular I liked his use of a scene from Agnes of God to focus on the need for action-reaction to be wholly natural, that is, for the key word requiring a response to strike at the end, although one could argue that a good dialogue writer, or just a good listener, would never dream of doing anything but that. Still, it is a well-presented, highly readable example, as are his discussions of different beats in scenes and the way they affect the emotional direction, using script and prose examples from the diverse likes of A Raisin in the Sun, The Great Gatsby and Orhan Pamuk's The Museum of Innocence. Where McKee is less successful is when he provides his own woefully unnatural "samples" of on-the-nose or imbalanced dialogue, since his examples are always too cartoonish to be enlightening, and, especially, where he decides to focus solely on theory, since this is not McKee's strong point. I'm afraid he does not come across in this book as a particularly skilled teacher. He is occasionally a good demonstrator, and someone who is able to sell his enthusiasm for a scene, but not a good explainer of the elements that go into different forms of dialogue. More often than not the reader is forced to either snooze or protest. Additionally, McKee betrays at one point that he seems to have but a tenuous grasp of what the passive and active voice are all about and when we use them, not to mention the difference between a gerund (-ing form as a noun, e.g. Writing dialogue is underrated) and the present continuous form (-ing form as verb, e.g. I am currently writing a scathing review of the section on passive vs active), or the fact that in English we use the present continuous for current actions (I'm writing this on my iPad) and the present simple for recurring actions (I write for two hours a day). This section, however it was forged, is - no other way to put it - flat-out embarrassing and is not a good look for a supposed screenwriting guru. I an a learner. My preferred mode of learning is to read and then try out simple examples of what I have learned. I am random, abstract. I am comfortable with bits of knowledge cluttering up my brain in apparent disarray. I knew that if I kept on learning things, at some point, an event would trigger a re-arrangement of that knowledge into a more useful form. That re-arrangement would not make me smarter. If anything, I would be more ignorant than I had been before the switching around of concept I an a learner. My preferred mode of learning is to read and then try out simple examples of what I have learned. I am random, abstract. I am comfortable with bits of knowledge cluttering up my brain in apparent disarray. I knew that if I kept on learning things, at some point, an event would trigger a re-arrangement of that knowledge into a more useful form. That re-arrangement would not make me smarter. If anything, I would be more ignorant than I had been before the switching around of concepts and facts. Holes in my knowledge and understanding, hidden by the previous jumble, would now be obvious. I could see the patterns that defined what was populated and what I needed to learn to complete the pattern. I would understand the questions that I needed to ask and when I needed to ask them. But I would also understand the situations in which certain questions had no relevance. Speed, effectiveness, and power were mine for the taking. One such book for me was Refactoring: Improving the Design of Existing Code by Martin Fowler. This is a reference book on how to re-arrange the code of computer software to make it better. There is page after page of techniques, each dry and detailed. But Fowler also explains, for each technique, why the change that the technique would effect would be an improvement, when it should and should not be used, and how the improvement might trigger side-effects. The unexpected effect of all that detail was to give me the conceptual structure that organized a dozen previous books on programming. I could never look at my code or the code of others in the same way after reading and re-reading this book. My quest to become a (better) writer parallels my quest to become a better software developer. I have read many books on craft of writing. I have practiced on projects, small and large. The jumble in mind verifies the extent of my efforts. I have been ready for that organizing event to sort things into a recognizable pattern. Reading Dialogue: The Art of Verbal Action for Page, Stage, and Screen is just that event. As before, my ignorance is made explicit and my needs for further development made manifest. I am not done reading about the craft, but I will be more focused than I was. I have no idea of whether anyone else's experience will parallel mine. No matter. This is a book well worth reading, well worth learning from. “Dialogue” é o livro mais recente do mega-guru dos roteiristas americanos, o impressionante Robert McKee, famoso pelo seu “Story”, que reli a pouco tempo. Como diz o título, “Dialogue” é uma espécie de mega-guia doidimais para a criação de diálogos. E realmente, nunca vi uma análise tão detalhada sobre a arte da criação de diálogos para qualquer tipo de media de contação de histórias, seja para a literatura, cinema, teatro, séries de TV. McKee analisa exemplos de diversas fontes, decupa todos os elementos de um diálogo além de contextualizar tudo dentro da estrutura da cena e da história. O texto é prático, o tempo todo McKee oferece ferramentas para o escritor criar, analisar, revisar, e editar os seus diálogos. Um dos pontos mais repetidos em “Dialogue” é a importância do subtexto em um diálogo, o que “realmente está acontecendo” por trás das palavras dos personagens. A sugestão de criar o diálogo a partir do mundo interior dos personagens é vital, assim como a importância do escritor de desenvolver a capacidade de “atuar”, de entrar dentro da pele de seu personagem e ver a cena a partir desse ponto de vista. McKee gasta grande parte do tempo esmiuçando as técnicas de caracterização de personagens, ligando-a com a arquitetura de conclitos em diálogos, a importância dos pontos de virada, e do jogo dramático (ou cômico) necessário para dar vida ao que os personagens falam. Um bom diálogo é dinâmico, são “ações verbais” em que os personagens fazem com os demais ou com sigo mesmo. Isso me fez lembrar de um insight genial desse livro. Monólogos interiores são diálogos, pois o personagem fala para um “eu interior silencioso”, que só escuta. E, em personagens complexos, são também diálogos onde participam várias “vozes”, diversos “eus” que disputam hegemonia em um único personagem. Sensacional! O livro é cheio de aforismas, como “uma boa história gera bons diálogos”, “diálogo é ação verbal”, “diálogo é uma conversa com o significado concentrado”, “criatividade é fazer escolhas, escolher o que tirar e o que deixar”, etc. Um livro ideal para quem queira aprofundar na arte da escrita dramática, daqueles que a gente lê, relê e anota sem parar! Recomendadíssimo! Other teachers tell us that Shakespeare was a great writer. McKee shows by excerpts from Julius Caesar exactly how he used subtext and avoided on the nose dialogue. Cassius tries to persuade Brutus to join him in a plot to overthrow and kill Caesar. First, McKee presents Cassius's words in clear, direct on the nose dialogue. An exciting, dangerous turning point comes across as tame and boring and unconvincing. Then, McKee quotes the original script and explicates several words and phrases to sh Other teachers tell us that Shakespeare was a great writer. McKee shows by excerpts from Julius Caesar exactly how he used subtext and avoided on the nose dialogue. Cassius tries to persuade Brutus to join him in a plot to overthrow and kill Caesar. First, McKee presents Cassius's words in clear, direct on the nose dialogue. An exciting, dangerous turning point comes across as tame and boring and unconvincing. Then, McKee quotes the original script and explicates several words and phrases to show how and why Cassius's words are believable and conniving and scary. McKee shows that Cassius's style of speaking is convincing and consistent with the attitudes and lifestyle of a Roman senator. McKee then presents two more rewrites that show how flat Cassius's words would be without any imagery, or with added cautious words such as could or would. Robert McKee es el que escribió el libro “el guion” o the story, en ese libro da los pilares necesarios para poder construir una historia, un buen guion, todo esto paso por paso. Este libro es la segunda parte de este último pero ahora enfocada en el dialogo algo que le faltaba a su primer libro. Si has leído su primer libro tendrás una clara idea de como enseña McKee, empieza desde lo básico (a veces quizás demasiado obvio) y va subiendo de dificultad, eventualmente se analizan distintas partes de guiones donde se ven los diálogos y se aprende de estos. Es lo que esperaba, más de McKee pero ahora en diálogos. -Leíste su primer libro y te gustó y quieres más. -Te gusta escribir y quieres mejorar. -Te interesa saber como escribir mejores diálogos. This was quite excellent and a must read for all writers of fiction. Note: the book is NOT about how two characters converse with each other. This touches upon all aspects of prose, because even exposition is a type of dialogue between the narrative perspective and the reader. The most useful part to me was the constant reiteration of how great works and complex characters use subtext. People rarely say what they mean or what they think. When your fictional characters do this, they come across as This was quite excellent and a must read for all writers of fiction. Note: the book is NOT about how two characters converse with each other. This touches upon all aspects of prose, because even exposition is a type of dialogue between the narrative perspective and the reader. The most useful part to me was the constant reiteration of how great works and complex characters use subtext. People rarely say what they mean or what they think. When your fictional characters do this, they come across as underdeveloped and one dimensional. The price of the book is worth it for the in-depth analysis of several scenes from famous works at the end. compassion and too complex ruins comedy. I find it ties back to what most writing books do which is talk about conflict. his breakdowns at the ends are pretty cool although almost none of the examples I have read (maybe says more about me then the book though) the bit at the end on writing if you were the character was splitting hairs as I think anyone who has tried to write knows that all the charters are different versions of themselves. but a good reminder. 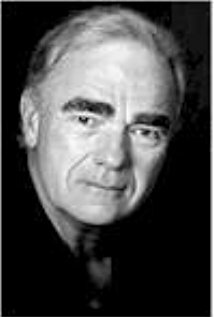 Robert McKee began his show business career at age nine playing the title role in a community theatre production of MARTIN THE SHOEMAKER. He continued acting as a teenager in theatre productions in his hometown of Detroit, Michigan. Upon receiving the Evans Scholarship, he attended the University of Michigan and earned a Bachelor's Degree in English Literature. While an undergraduate, he acted in Robert McKee began his show business career at age nine playing the title role in a community theatre production of MARTIN THE SHOEMAKER. He continued acting as a teenager in theatre productions in his hometown of Detroit, Michigan. Upon receiving the Evans Scholarship, he attended the University of Michigan and earned a Bachelor's Degree in English Literature. While an undergraduate, he acted in and directed over thirty productions. McKee's creative writing professor was the noted Kenneth Rowe whose former students include Arthur Miller and Lawrence Kasdan. After completing his B.A., McKee toured with the APA (Association of Producing Artists) Repertory Company, appearing on Broadway with such luminaries as Helen Hayes, Rosemary Harris and Will Geer. He then received the Professional Theatre Fellowship and returned to Ann Arbor, Michigan to earn his Master's Degree in Theatre Arts. Upon graduating, McKee directed the Toledo Repertory Company, acted with the American Drama Festival, and became Artistic Director of the Aaron Deroy Theatre. From there he traveled to London to accept the position of Artist-In-Residence at the National Theatre where he studied Shakespearean production at the Old Vic. He then returned to New York and spent the next seven years as an actor/director in various Off-Broadway, repertory and stock companies. After deciding to move his career to film, McKee attended Cinema School at the University of Michigan. While there, he directed two short films - A DAY OFF, which he also wrote, and TALK TO ME LIKE THE RAIN, adapted from a one-act play by Tennessee Williams. These two films won the Cine Eagle Award, awards at the Brussels and Grenoble Film Festivals, and various prizes at the Delta, Rochester, Chicago and Baltimore Film Festivals. In 1979, McKee moved to Los Angeles, California where he began to write screenplays and work as a story analyst for United Artists and NBC. He sold his first screenplay, DEAD FILES, to AVCO/Embassy Films, after which he joined the WGA (Writers Guild of America). His next screenplay, HARD KNOCKS, won the National Screenwriting Contest, and since then McKee has had over eight feature film screenplays purchased or optioned, including the feature film script TROPHY for Warner Bros. In addition to his screenplays, McKee has had a number of scripts produced for such critically acclaimed dramatic television series as QUINCY, M.D. (starring Jack Klugman), COLUMBO (starring Peter Falk), SPENSER: FOR HIRE and KOJAK (starring Telly Savalas). In 1983, McKee, a Fulbright Scholar, joined the faculty of the School of Cinema and Television at the University of Southern California (USC), where he began offering his now famous STORY SEMINAR class. A year later, McKee opened the course to the public and he now teaches the 3-day, 30-hour STORY SEMINAR to sold-out audiences around the world. From Los Angeles (where his course is only taught two times a year) to New York (two times a year) to Paris, Sydney, Toronto, Boston, San Francisco, Helsinki, Oslo, Munich, Singapore, Barcelona and 12 other film capitals around the world, more than 50,000 students have taken the course over the last 15+ years. Through it all, McKee continues to be a project consultant to major film and television production companies, as well major software firms (Microsoft, etc. ), news departments (ABC, etc.) and more. In addition, several companies such as ABC, Disney, Miramax, PBS, Nickelodeon and Paramount regularly send their entire creative and writing staffs to his lectures.